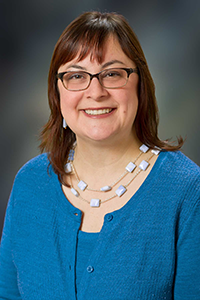 Leah A. Bartoces – Paralegal Leah graduated from the University of Washington in 1997 with a Bachelor of the Arts in Classical Studies then earned an Advanced Paralegal Certificate from Edmonds Community College in 1998. She has worked in the legal field for over 18 years with experience in real estate foreclosure, bankruptcy, and litigation. She joined Beresford Booth in 2015. In her spare time, Leah enjoys designing and making jewelry, handmade cards, and spending time with her family. Leah supports attorneys Timothy E. Steen and Jonathan P. McQuade. Jalynn A. Blocker – Paralegal Jalynn attended Southern Utah State College in 1980-1981 and earned her Associate Degree in Paralegal Studies at Highline Community College in 1989. She has worked in the legal field for over 30 years with experience in probate, estate planning, general civil litigation, corporation formation, personal injury, and family law. She joined Beresford Booth in 2011. In her spare time, Jalynn enjoys cooking, a monthly book group and spending time with her family. Jalynn supports attorney William O. Kessler and Andrew M. McKenzie. Jasmine S. A. Brown – Legal Assistant Jasmine graduated from Ferrum College with her Bachelor of Science Degree in Criminal Justice in 2011. She joined the firm in 2014 as a Legal Receptionist / Administrative Assistant and transitioned into the Legal Assistant role in November of 2018. She provides extensive support to the firm’s paralegals who support attorneys in the following comprehensive areas of practice: Business Law, Divorce and Family Law, Employment Law, Estate Planning and Probate Law and Litigation. Jasmine has a distinct appreciation for the ever-changing trends that are reshaping the legal profession and revels in the environment that those changes create. Outside of work, she enjoys spending time with her family and friends, reading, playing and critiquing video games and traveling. Erin E. Cline – Law Firm Administrator Erin has been in the legal industry since 2002. She began her journey as a Legal Receptionist and worked her way up to her current position as Law Firm Administrator for Beresford Booth. As the Firm Administrator, Erin works with the Managing Partner to perform support functions across all disciplines and carry out the strategic vision of the Firm. Erin enjoys the business side of law, and when she’s not at work, she likes spending time with her husband and traveling. Tiffany L. Hansen – Paralegal Tiffany joined Beresford Booth in early 2011. Tiffany graduated from Edmonds Community College with her Paralegal Associate of Technical Arts Degree, and now serves Beresford Booth as a paralegal providing professional support across the spectrum of the Firm’s services. In addition, she provides specific support for lawyers Richard R. Beresford, Matthew J. Cruz, Elizabeth L. Van Moppes, and Babak Shamsi. With many years of experience in client service, she is committed to providing the best possible service to every client. Outside of the office, Tiffany enjoys cooking, camping, and spending time with her family and cat, Cat. 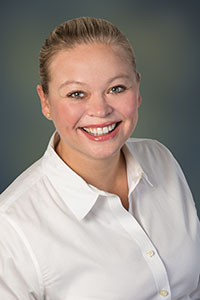 Trisha L. Ruis – Paralegal Trisha was born and raised in Edmonds, graduating from Edmonds-Woodway High School and then from Edmonds Community College with her Paralegal Associate of Technical Arts Degree. She joined the firm in 2017 but has been working in the legal field for the last 10 years. Trisha provides support for our Divorce and Family Law Attorneys, Dimitra S. Scott and Anne B. Bennette. In her spare time, she enjoys spending time with her family, boating and coaching her daughter’s soccer teams. Patty A. Schoonmaker – Bookkeeper Patty is the bookkeeper for Beresford Booth and joined the firm in December of 2005. With over 30 years of experience in this field, she takes pride in her accuracy in dealing with the many aspects of accounting for the firm. She enjoys boating, guitar, and spending time with her family. 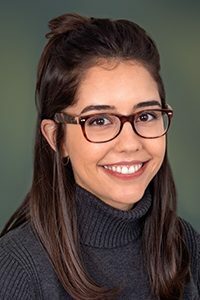 Gabriella N. Stein – Receptionist Gabbi graduated from the University of Utah with her Bachelor of Science Degree in Philosophy. She currently serves as Beresford Booth’s receptionist, providing attentive and effective client support. Gabbi also assists Beresford Booth staff, paralegals, and attorneys with various administrative support duties. When she is not at work, Gabbi enjoys hiking with her friends and family, re-reading her favorite novels, and playing video games. Holly A. Stokes – Accounting Assistant Holly joined the firm in September of 2016 and enjoys time with her family and two dogs. Jennifer R. Takamoto – Paralegal A native of Seattle, Jennifer graduated from the University of Washington and earned her Paralegal Certificate from Edmonds Community College. She joined Beresford Booth in 2009 after working as a corporate paralegal with Washington Mutual Bank and has extensive corporate law experience including working with reorganizations and complex transactions. Jennifer works with our business and real estate groups. Jennifer supports attorneys David C. Tingstad and Per E. Oscarsson. 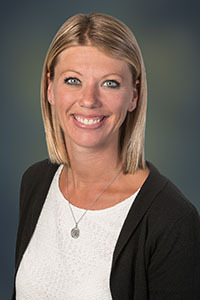 Janelle M. Tingstad – Account Manager Janelle graduated from Boise State University with a degree in education. She taught intermediate school for several years before starting a family. She has been with Beresford Booth for over nine years, serving in various roles. She now serves as the Account Manager working closely with paralegals and lawyers to support positive client relations. Outside of the office, Janelle enjoys watching her daughter play volleyball, travelling to watch her son play college football games, spending time with her family, and exploring the beauty of our great country. Caleb J. Tingstad – Administrative Assistant Caleb graduated from Western Oregon University in 2018 with a degree in Economics and hopes to attend law school in the fall of 2019. Caleb has been with the firm since 2018 and is hoping to learn all he can before beginning a legal career of his own. In his free time, Caleb enjoys fantasy football, spending time with his fiancé, and cooking.